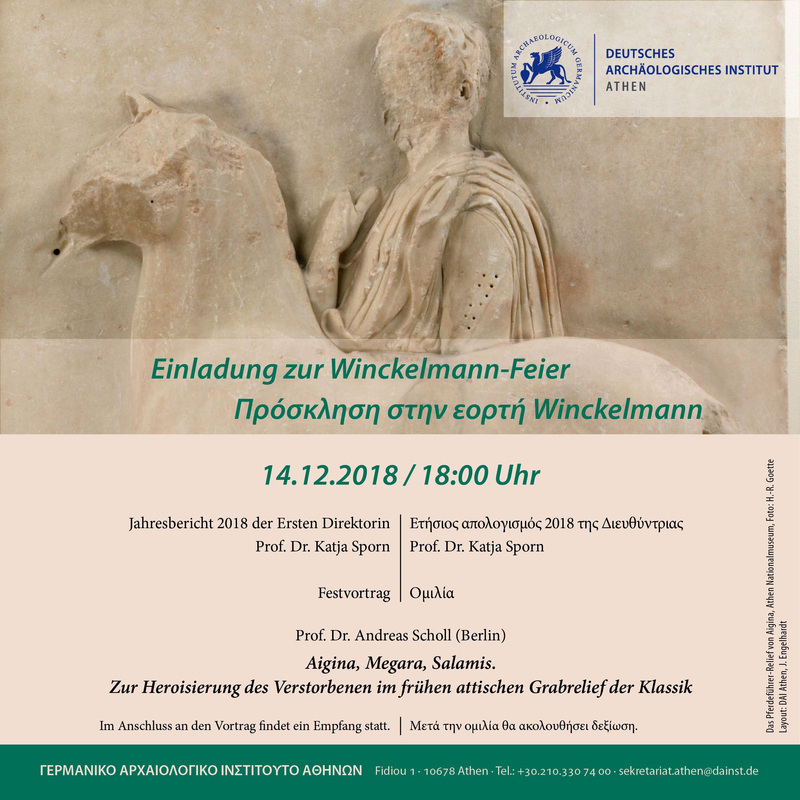 This year’s Annual Open Meeting of the DAI Athens (Annual Report of the Directress and Winckelmann Lecture) will take place on Friday, 14 December 2018, at 18.00. “Aigina. Megara. Salamis. Zur Heroisierung des Verstorbenen im frühen attischen Grabrelief der Klassik” (“Aigina. Megara. Salamis. About the heroization of the early Attic deceased in the grave relief of Classical Antiquity”).